Pollen forecasts are now available on the Met Office website for the millions of sufferers of hay fever across the UK. The forecasts will use our latest weather forecast information and combine this with pollen readings from across the UK. 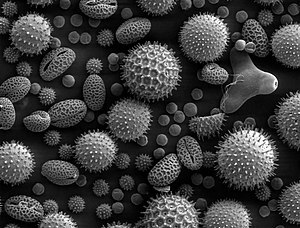 The introduction of the pollen forecast is part of the wide range of weather-related services offered by the Met Office, which also include UV index and Heat Health watch. Met Office forecasters will be working closely with the University of Worcester and Pollen UK throughout the season. Find out more about how to help reduce the impact of pollen on your health. This entry was posted in Met Office in the Media and tagged Forecasts, hay fever, Met Office, Pollen, weather, weather forecasting. Bookmark the permalink.